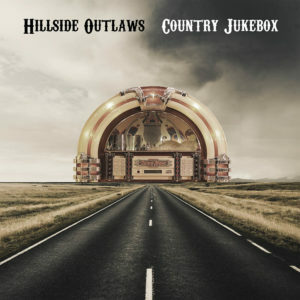 Canadian country group Hillside Outlaws is thrilled to announce the release of the band’s new EP, Country Jukebox, which is now available on all digital platforms including Spotify, iTunes, Apple Music, and Google Music. Produced by the award-winning Paul Shatto (The Higgins, Robyn & Ryleigh, Jetty Road), the band’s debut EP captures the gritty energy that the four-piece Penticton, BC-based group has perfected on stage and adds to a recent hot streak, which has included a 2017 BC Country Music Association Awards Weekend showcase, a finalist position in the Breakthrough Project 2018, and the release of “Hair of the Dog” – the group’s first Canadian radio single – in June. “With Country Jukebox, we wanted to give country music fans a complete listening experience and a strong introduction to Hillside Outlaws. 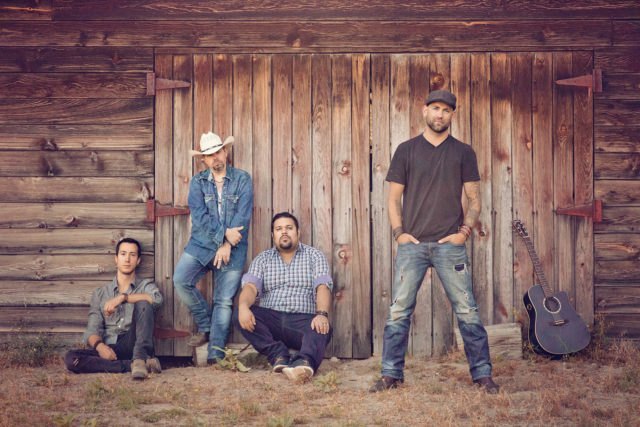 This EP is our modern twist on the traditional country sound that we grew up listening to and we believe it offers a rich emotional journey for everyone who hears it,” says Louis Bigras, lead singer of the group. For Bigras, the release of Country Jukebox carries a great deal of personal significance. After playing as a solo artist at the 2016 Rockin’ River Country Music Festival, his lifelong dream of pursuing a music career found a new spark and he formed Hillside Outlaws after joining forces with fellow Penticton natives Carlos Jiménez, Erik Galata, and Langley Jackson later that year. The songs on the resulting EP were written or co-written by Bigras and they mirror his own personal experiences while also representing the band’s collective outlook on life. “Hair of the Dog” speaks to the band’s hunger for live performance and the pursuit of doing what feeds you. The summer party anthem “Girls in Trucks” spotlights women who love to drive big trucks. “Fairy Tales” slows things down to appreciate when those unlucky in love find their fortunes unexpectedly change. “City Boy” recalls small-town roots while following big city dreams. Finally, the title track “Country Jukebox” is an ode to the genre at large with a hearty mix of references to the people and songs that have made country music so enduring and endearing for generations. “The way we see it, being an outlaw is about doing things your way, even if it might be the opposite of what is expected. Each of us has pushed through our own unique circumstances to discover that playing country music is our common outlet for authentic expression. This record will connect with fans who crave some emotional honesty and pure grit to go along with their musical entertainment and it sets the tone for what’s to come from Hillside Outlaws,” concludes Bigras. To support the EP release of Country Jukebox, Hillside Outlaws will be playing several BC shows in Kamloops (August 9th), Quesnel (August 10th), and Cloverdale (August 18th) before returning to the Okanagan for a hometown EP release party in Penticton on Saturday, August 25th at Elite Restaurant – doors at 9PM, show at 9:30PM, and free admission. The group will then travel to Vancouver for a second release party on Sunday, August 26th.